Contaminations of sewage water from different industrial areas are manifold and complex. Therefore, it is crucial to choose the right purification process while utmost special knowledge and experience are demanded. In order to decide upon the right product for your application our in-house-staff and field crew are at your service for detailed consultation and advice. Aside from the planning and realization your treatment plant we additionally offer complete maintenance and service options. 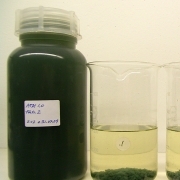 In most of the cases the choice of the process starts with the treatment of a representative waste water in our laboratory. 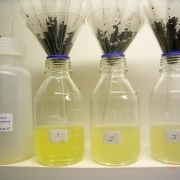 Subsequent sample taking of the purified water reveals whether all statutory parameters of the effluent statutes were observed. The insights gained result in a recommendation of a system from our portfolio. 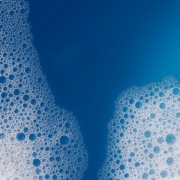 Our emulsion splitting systems have the task to split waste water into its ingredients and to separate the complexly dissolved material from clear water by flocking. This is done by different processes like absorption, filtration, flotation, heavy metal precipitation and further chemical processes. Our processes for sludge processing mainly serve for the separation of sludge from the upcoming clear water and for the drying of sludge. In case of smaller units this can be realized by a band filter, in case of larger units by means of a chamber filter press. 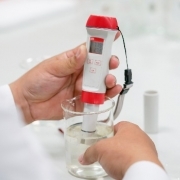 Neutralization units are suitable for the pH-value correction in waste waters of different origin and composition Depending on the case you may choose between a continuous or batch process. As an additional step in the process it is also possible to integrate the pH-value correction in one of our emulsion cracking plants.